The Curse of 2016 took a lot of artists from us. The year opened with Lemmy’s passing fresh in everyone’s minds, and the roll call of musicians claimed by the Grim Reaper kicked off from there: David Bowie, Prince and Vanity, Leonard Cohen, Pierre Boulez, Keith Emerson and Greg Lake, Gisela May, Craig Gill (Inspiral Carpets), Pete Burns, Caroline Crawley, James Woolley (Nine Inch Nails), Alan Vega (Suicide), Steven Young (M/A/R/R/S and Colourbox) and Richard Lyons (Negativland) all shuffled off this mortal coil. We’ve often said at Cold War Night Life that we need to show appreciation to artists while they are still with us, as you never know when the window to do it will close, and Death did its part to reinforce the warning. 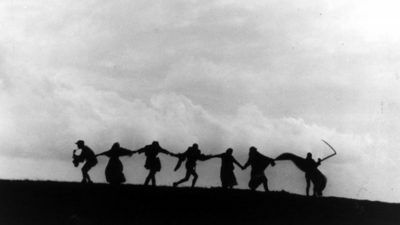 Those who survived 2016 were confronted with the spectre of a Trump presidency and the consequences of the Brexit decision. It was as if Pinky and The Brain had finally succeeded, setting up 2017 to be the United Nations International Year of Incompetence. There will be dark times; but, as Brecht once noted, there will also be singing about the dark times. We will be there to critique the critiques. 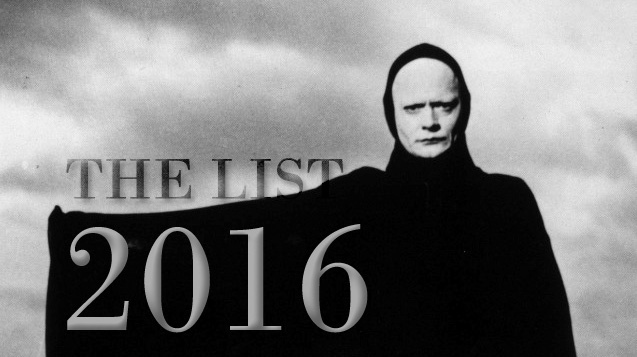 In the meantime, here are our sixteen picks for 2016. Norway’s Pieces of Juno went darker than usual for her year-closing single, “Your Mouth Is a Dragon.” The KOSO protagonist has impressed us with sets of more experimental material in the past, so it was a bit of a surprise to hear her exploring a traditional song structure with seductive, haunting guitar licks fit for a Tarantino movie. This is territory that John Fryer and Barry Adamson have explored previously, but Juno’s approach is feminine, subversive and underpinned by exotic rhythms that lift the material from smoke-filled nightclubs into a world of dreams. As I Am Snow Angel, Julie Kathryn issues the kind of quirky and angelic pop that sometimes belies its more serious lyrical content. “Losing Face” sounds jazzy and jaunty, on one level, and the accompanying video of Kathryn spinning on a pole might pass for a sensual presentation designed for VH1, but when the singer laments being left feeling “dirty and incomplete” there is more going on. Sugar-sweet on the surface, “Losing Face” is deeper, more complex and richer than your usual music television fare. Zanias is the latest project from Alison Lewis, the mind-expanding, psychedelics-ingesting chanteuse of Berlin’s underground. The video for “Through This Collapse” is a stark, futuristic performance of the song, showing Lewis in a Vantablack dress surrounded by particles as fine as her voice. 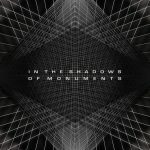 The song is tension itself: with needle-sharp vocals and a vein-scraping, bit-crushed instrumental track, it will play as intensely in caverns as it does in clubs. 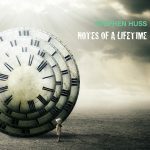 As the half of Psyche who handled the keyboards, Stephen Huss was a legend of Canadian alternative music. His spiky hair and hook-laden synth lines were instantly recognisable, and Psyche’s style became the template for a dozen imitators. Huss withdrew from active participation in the band after illness made it impractical to continue, but in the background he didn’t stop recording original material. After his untimely death last year, brother and Psyche vocalist Darrin collected many of Stephen’s solo instrumental recordings and put them out for appreciative fans. Notes of a Lifetime is both a reminder of Stephen’s talent and the love that held Psyche together. The inclusion of a joint Huss brothers recording makes it even more poignant. John von Ahlen’s Parralox project is as prolific as it is impressive. 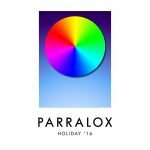 At the end of 2016, Parralox released two full albums: Subculture and a collection of covers, Holiday ’16. Subculture shows off von Ahlen’s growing list of celebrity connections, featuring vocal contributions from Marcella Detroit (Shakespears Sister) and bass work by Ian Burden (Human League), while Holiday ’16 re-interprets classic tracks by Pet Shop Boys, Cicero, Depeche Mode and Human League. You don’t have to choose between the two, as Parralox’s label, Conzoom, offer a package deal, but the place we would take you first is von Ahlen’s take on Depeche Mode’s “Blasphemous Rumours.” It is positively fizzing with energy, turning a rather mournful piece about teen suicide into an energetic, acid-fueled dance track with a more positive vibe. Sarah Badr’s FRKTL project matured in 2016 with a proper second album. 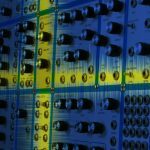 The first release from the Anglo-Egyptian digital pioneer was Atom, back in 2011: an electro-acoustic marvel that stretched sounds beyond recognition. Qualia, named for the psychological and philosophical categories of qualities that are always experienced but hard to explain, went further and incorporated Badr’s voice and world rhythms suitable for the dance club into mixes that were both exotic and intriguing. We recently caught up with Badr to learn more about her approach, and our interview with the globe-hopping multi-instrumentalist will be coming out shortly. 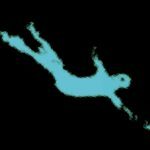 In the meantime, we can’t recommend Qualia strongly enough. 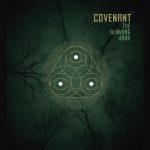 There are signs that Covenant, the Swedish darkwave legends, are slowly, collectively, morphing into Brian Eno. It’s certainly hard to avoid that conclusion when a feature of their new album is the sound of the sea and engines being focused by a parabolic sound mirror; particularly as they were attracted to it as a sonic and historical metaphor for Europe’s response to the Mediterranean refugee crisis. The Blinding Dark puts some of the experimentation that was reserved for the bonus disc on Leaving Babylon in the foreground, even as it showcases the band’s continuing deftness with energetic rhythms. John Fryer’s Black Needle Noise is really the reincarnation of This Mortal Coil, his most famous studio project. Fryer’s prolific writing and recording make it hard to keep pace with the new tracks that issue from his current base in Oslo, but there were two very exceptional songs beamed out by BNN this year: “Warning Sign” with Kendra Frost and “Heaven” with the dreampop cult figure, Jennie Vee. “Warning Sign” was a revelation for listeners more attuned to Frost’s work with Kite Base (see number 3 in our list, below). It also featured the kind of spatial depth that has long been a signature of Fryer’s production style. Although it clocks in at 4’35”, the single seems to flash by and require a constant replay. Proof of progress: in the old days, you would have to return the needle to the groove by hand. With “Heaven,” we got to hear Vee at her darkest, intoning a mantra for an unhappy state of mind. Vee’s voice is one of the most distinctive in modern pop, but with Fryer behind the controls it emerges with new textures that reveal painfully sensitive moments. Nash the Slash is sorely missed. A true Canadian original, he is known outside of his home and native land mainly for his early work with Gary Numan and an album produced by Steve Hillage. However, Nash was also a composer of soundtracks to surrealist films (“Un Chien Andolou”) and – so we argue – the inventor of the sounds that became signatures for The Orb and System 7. Thanks to Artoffact, both Dreams and Nightmares and Bedside Companion were re-released in 2016. We have it on good authority that 2017 will see a reissue of And You Thought You Were Normal, which will be an even bigger reminder of how big an influence Nash was on electronic music. Did we mention that it makes an excellent present? And that it can be ordered from Storming the Base, who also handle Psyche and Nash the Slash products, should you know a vinyl junkie who needs that final hit? We did? Then you are sorted. 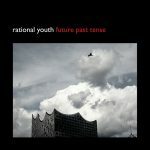 Speaking of Rational Youth, they made 2016 better with a new album up their sheer black sleeves, in the form of Future Past Tense. The first studio album from RY since To the Goddess Electricity, it proved that the Canadian pioneers have lost none of their sense of melody or political angst. The lead single, “This Side of the Border,” is influenced by Canadian nationalism, social democracy, nostalgia and The Who – a heady cocktail made more potent by the addition of Gaenor Howe’s vocals. We caught up with RY on their European tour to support the album, and it was striking how much enthusiasm there was for the new material. Crowds in Sweden and Germany happily sang along to the new tracks with the same confidence and affection as the hits from 1982’s Cold War Night Life. They didn’t always give Tracy Howe his microphone back, but that’s another story. It is hard to believe that Vile Electrodes are only on their second studio album. Britain’s best synth band stunned with The Future Through a Lens, which established a benchmark for the island’s electronic scene with tracks like “Proximity” and “Nothing.” Now that the island has decided to sink into the Atlantic, rather than accept European influences, the Viles are setting the bar again in a less pop-oriented vein. There is not a spot of magenta or cyan to be seen, nor a sample from the Tron soundtrack to be heard. This is not “synthwave” but dark ambient and experimental material of the highest standard. Hannah Peel shifted gears half-way through her latest album, moving from delicate pop into more industrial sounds, layers and loops. The arc of the album mirrored the dementia that eventually claimed her grandmother, and many of the songs are both raw and unnerving for anyone who has lived through a similar experience. It turns out that many people have, as Awake But Always Dreaming received substantial attention and acted as the focal point for an Alzheimers-related culture event in Shoreditch to general acclaim. It was Peel’s performance of the new material at the Troika! show that led us to include her in our Live Act of the Year selection. It might have a serious motive, but the songs of Awake But Always Dreaming work best when you can feel the rhythms and see the hair flicks up close. We first saw Kite Base warming up for Hannah Peel in deepest, darkest hipster territory. 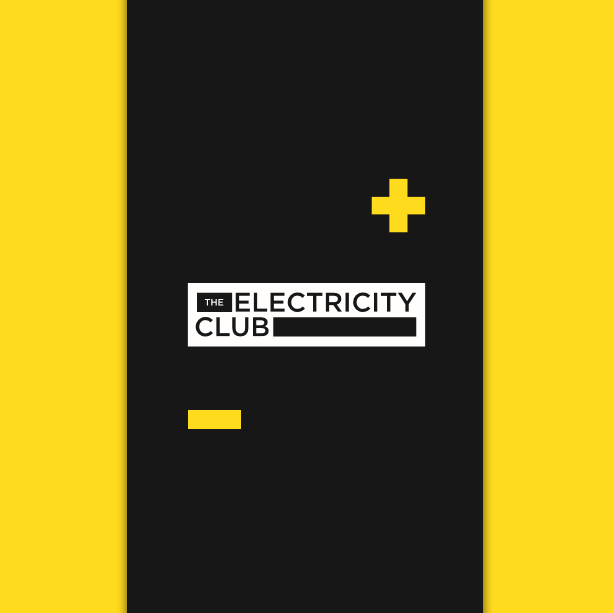 First impressions were very promising with dueling bass guitars, natty electronics and Kendra Frost’s vocals forging an original and deep sound. Bandmate Ayşe Hassan also plays in Savages, so you’d expect them to be loud, but Kite Base has subtlety as well as rhythm. This year, we finally got a 7″ single to spin, and it turned out that the duo were just as good in the studio as on stage. “Dadum” has the kind of hook that sticks in your ear for days on end, while the accompanying video highlights the band’s interest in origami. 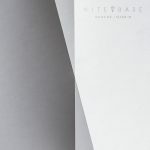 It’s on the flip side, however, that the promise of Kite Base really starts to kick off with Frost’s voice opening up over bass lines that throb like the veins of a long-distance runner. Along with Hannah Peel and I Speak Machine, Kite Base were our joint choice of Live Act of the Year for their Troika! show at London’s Shacklewell Arms. The rumble outside would have been only a partial clue to the intensity of their performance, which has been crafted through shows in Europe and America alongside Savages. The sonic fractals really fly when Kite Base are plugged into their DI boxes, and they expand and shift with a deft psychedelic touch that is anchored by the tautest of bass lines. Eddie Bengtsson has promised a new Page album in 2017. Until then, we have the band’s midsummer single, “Är det jag som är en idiot” (EN: “Is it Me Who Is an Idiot?”), to keep us company through the Nordic winter. Produced and mixed by Richard Flow of Machinista, this is Page’s only official release since 2013’s “Som ett skal” (EN: “Like a Shell”), and it’s a tease that it was accompanied by only one B-side. We know what’s coming next, and we can’t wait. Pole position for 2016 didn’t go to an obvious choice with a hipster following on Facebook. 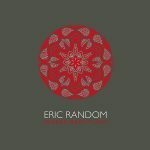 Eric Random has come and gone from the music scene over the years, but is most closely associated with Cabaret Voltaire and its Doublevision label. Random’s return in 2016 with Words Made Flesh kept some of the indie-industrial vibe from his earlier recordings, but was notable for repositioning dance music as something with character and texture. 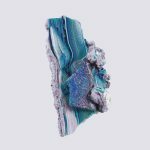 With influences drawn from world music, Random breathed new life into electronica, as this stand-out track demonstrates.